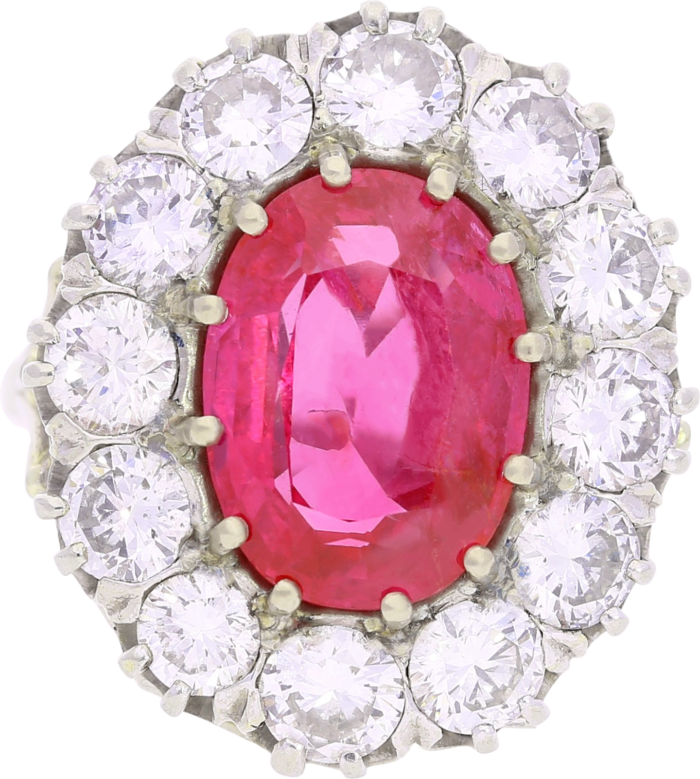 Standing at 5.52 carats, this oval-cut ruby hails from Burma, the ruby capital of the world, and is by every definition an antique. 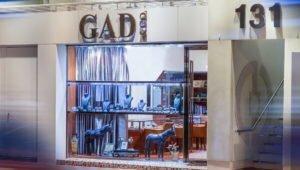 Antiques are, by some definitions, only classified as such if they are over 100 years old. 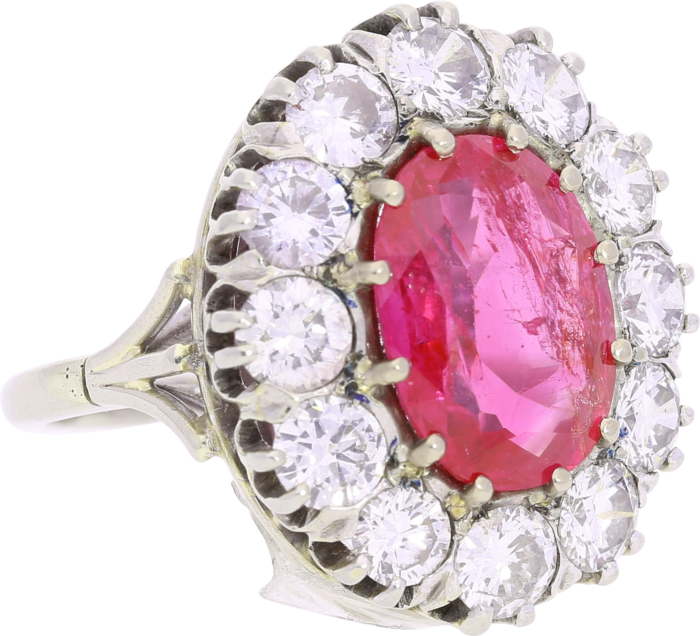 This Burmese ruby ring certainly qualifies, as it is believed to be from the 1800’s. It has visible signs of wear that add character to the ring, which is possibly over 200 years old. -The ruby is also “unheated”, which means that it is free of the quality enhancement so prevalent in todays market, and is as pure as nature intended. 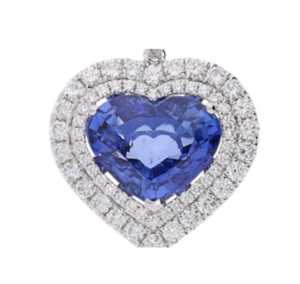 This is especially notable for a stone of this age, as it has remained unchanged for centuries. The ring is framed by round-brilliant cut diamonds weighing roughly 3.00 carats and is set in 18k white gold and platinum. 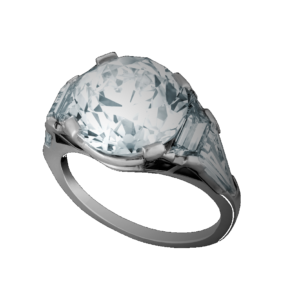 The diamonds in this ring do not carry certificates from the world leading laboratories, as sending them to be inspected would involve un-setting the stones, and thus the ring would lose its antiquity. 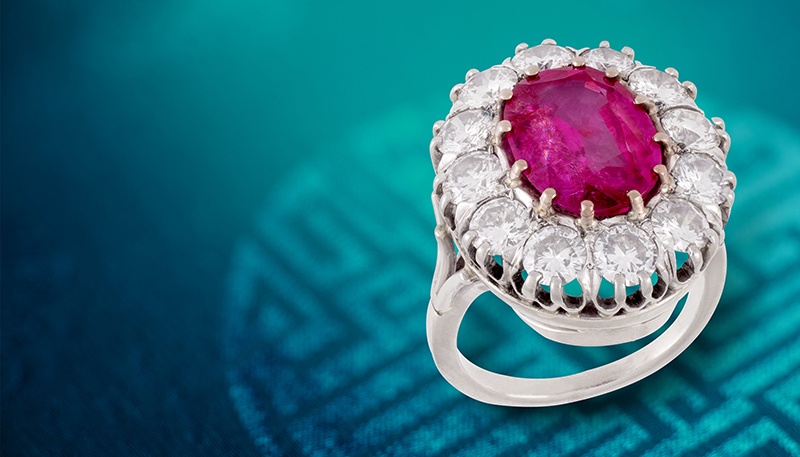 The ruby is certified by the American Gemmological Laboratory (AGL) to be of Burmese origin and “unheated”.